What are the Characteristics of Secret Gardens? No, we’re not talking about magical cupboards that transport you to a garden in Narnia. Instead, we’re referring to hidden entrances that are concealed from roadsides or even the front door. Befitting its name, secret gardens, especially at homes and private estates, typically have veiled openings that can only be accessed using private paths. 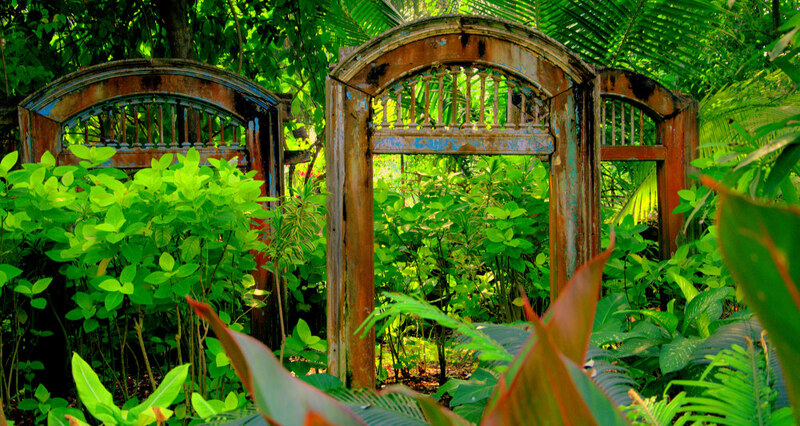 While security is no longer a major priority, such entrances lend secret gardens with an air of mystery and exclusivity. Be it concrete, bricks or just tall hedges, secret gardens have large walls that separate them from the hurly-burly of life. The practical applications of such walls, i.e., regulating the temperature of the inner region of gardens, are now secondary behind the privacy and sense of solitude they provide. Sure, trees and tall shrubs in ordinary gardens do offer a measure of privacy, but the walled areas of secret gardens take seclusion to a whole new level. The absence of ambient noises from towns and suburbs, in particular, frequently startles first-time visitors to secret gardens. There are several studies which have demonstrated that a single barrier in gardens can absorb sounds between 5db and 10db. With four walls, the sound of the engines from passing cars might be nothing more than a low hum. Conventional wisdom says that perennial plants are meant to thrive throughout the four seasons. However, as many gardeners and garden owners can attest to, they do wilt, rather regularly in fact under the unrelenting assault of fall and winter – more so if little care is given. However, in the enclosed space of walled gardens, the erosion from wind and sudden drops in temperature are significantly moderated, ensuring a much healthier environment for plants to grow. The same holds true for biennials and annuals plants. Protecting such plans from the travails of cold climes is remarkably easier, guaranteeing gardens that bloom throughout the year. If you’re thinking of developing a secret garden for your home, check out the following pages to learn more of the type of gardens you should be looking at.